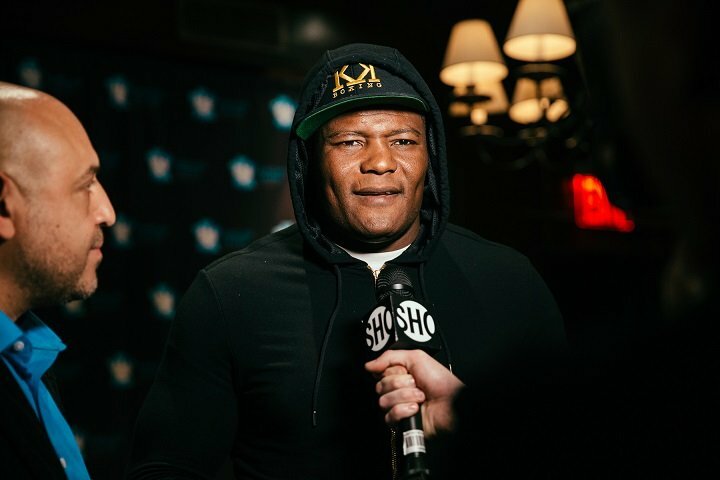 Luis Ortiz enrolled in the WBC Clean Boxing Program’s (“CBP”) out-of-competition anti-doping testing by virtue of being rated in the top 15 in the Heavyweight division of the WBC world ratings. On September 28, 2017, the Voluntary Anti-Doping Association (VADA) reported to the WBC that Mr. Ortiz’ “A” sample taken on September 22, 2017, yielded adverse analytical findings for Chlorithiazide and Hydroclorothiazide (the “Finding”). 5. Withdrawing its previously issued sanction for his scheduled bout against WBC Heavyweight Champion Deontay Wilder. 1. Pursuant to the WBC Prior Ruling, Mr. Ortiz underwent the following medical examinations as ordered and arranged by the WBC Medical Advisory Committee Chairman Dr. Paul Wallace. g. Ophthalmologic eye exam with pupil dilation and retinal examination. 2. Dr. Wallace reviewed the results of all the medical examinations, each one of which were completely normal and revealed no ongoing adverse health condition whatsoever. 3. Dr. Wallace also examined Mr. Ortiz` medical history and confirmed the medical justification for Mr. Ortiz to ingest a blood pressure medication which eventually resulted in Mr. Ortiz’ adverse finding. 4. The WBC Board of Governors hereby ratifies the Prior Ruling’s finding that Mr. Ortiz` failure to disclose his ingestion of prescribed high blood medication constitutes a violation of the WBC CBP Protocol, and confirms the $25,000 USD fine. 5. In light of the information set forth above, however, the WBC concludes that the evidence available to the WBC supports a finding that Mr. Ortiz’ ingestion of high blood pressure medication was directed to the treatment of an ongoing medical condition. Therefore, Mr. Ortiz will continue to be tested based on a specifically designed testing protocol. As of the date of this ruling, Mr. Ortiz is available to compete in WBC-sanctioned events, and shall be confirmed in the WBC ratings in a position consistent with the recommendation of the WBC Ratings Committee.